Albuquerque, NM First I never thought Raw Foods could be delicious and appetizing. My favorite part of the training was it is all finally sinking in. 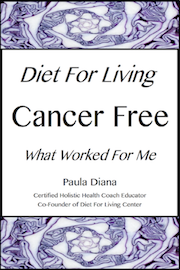 All the foods I ate in the past were usually dead, void of life force, no auric field and no light. With the training I want to heal my heart disease, lose 20 lbs, clear my skin and balance my hormones. I always suspected it's food as your medicine. After 25-35 years of suspicion to action at last I'm going to help myself and others.